Paula: My poor Larry. He's dead, Carlotta. Carlotta: And nothing can be done. That's the unfortunate thing about death. Even the young can't do anything about it. 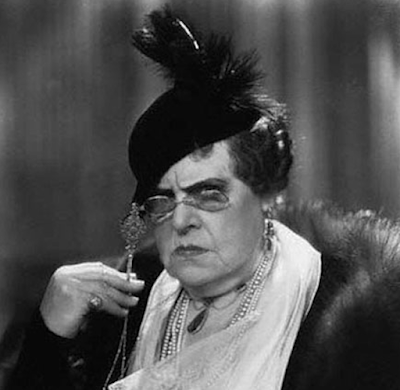 Perhaps I should have held this post off until November 9th of next year, which will mark the 150th anniversary of the great Marie Dressler's birth, but who the hell knows what will be left of us by then - there's no time like the present... god what a depressing fact that is these days. Anyway hooray for Marie Dressler, atypical superstar of her day, and everything! She's great. Any fans? LOVE HER. One of my favorite actresses from the 30s. There has been no one like her, before or after. I used to daydream about a version of Bridesmaids with 1930s film stars. Dressler would be my pick to play the Melissa McCarthy character. Can you imagine her in the plane scene talking about her steamy undercarriage? She was a brilliant actress. Love her in Min and Bill, and especially as Marthy Owen in Anna Christie. She was reportedly a lesbian, but was supposed to have been a very nice woman. Love her too. 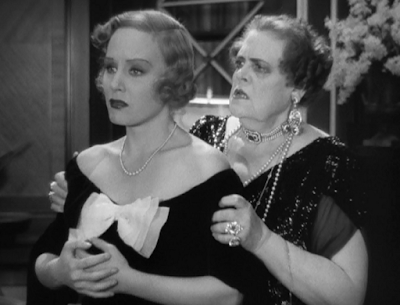 But golly she could pass for Lon Chaney's butch sister! Wonderful example of first class studio filmmaking. Jean Harlow, the wonderful Billie Burke and a fine cast down to the supporting players. I love her walk to the dining room with Harlow at the end of the film. First, comparing their respective jewels, and then the double-take/stumble in reaction to Harlow's line about automation (how 21st Century).